Support Engineer Daniel Browning selected as one of three Flash Talk presenters at the WTIA’s FullConTech conference to be held in Redmond, WA Oct 3 2016. FullConTech brings together leaders from the public and private sectors to develop new ways to foster positive, sustainable growth for the technology industry and our community. With a focus on exchanging ideas and taking action, FullConTech sessions encourage participants to challenge traditional ways of thinking and collaborate across industry, education, non-profit and government to solve problems and make a meaningful impact. Last year’s 300 participants worked together to build a playbook for WTIA, designing new initiatives to address specific needs within the technology industry and the broader community. Based on the cross-sector collaboration that took place at FullConTech 2015, in July 2016, WTIA launched Draft Day, a program that uses a “blind” recruitment and interview prep program to connect diverse talent from underrepresented schools with tech employers across the state. 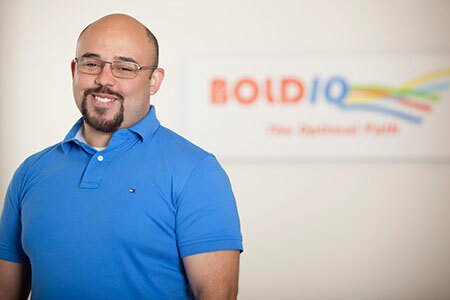 Daniel, a veteran of the U.S. Army, was one of two people hired by BoldIQ at draft day. The 2016 Wharton Aerospace panel will be about Competing and Growing In The ‘On-Demand’ World. Like every other part of our lives, the need and desire for ‘on-demand’ is quickly changing aerospace & defense – from airlines, to logistics, from drone missions to mafucaturing, everything is moving towards a real-time dynamic environment. Gone are the days of long-term planning and “simply” dealing with disruptions. Today, everything is based around continuous change and disruptions. Customers want their service now, when and where they ask for it. But with this ‘on-demand’ culture comes a risk of great inefficiency, waste, pollution and increasing costs. Led by Roei Ganzarski, President & CEO of BoldIQ, panelists will share perspectives on how they do more with their resources while decreasing waste and at the same time growing and competing in the ‘I want it now’ world. 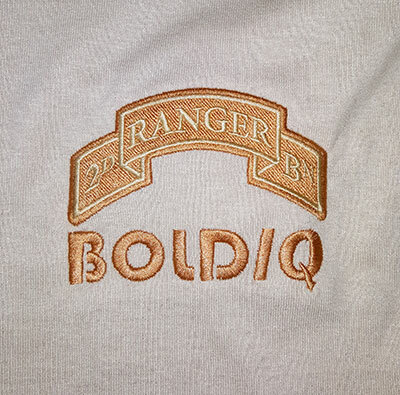 BoldIQ is proud to again be part of the annual Ranger Regatta! on August 11th, 2016. We are all looking forward to engaging with the community of special operations Rangers in a relaxing environment. It was a breakthrough concept. Use a fleet of small, on-demand, ride-share jets to serve a network of airports and adjust the seat price to reflect each passenger’s scheduling flexibility. Oh, and confirm the trip and fare instantly. That was DayJet’s operating plan. It was so revolutionary, even mighty Boeing was watching with concern. And with good reason. Think about it. A passenger goes online and inputs the date and times of a desired trip from A to B, knowing that the wider the time span for departure or arrival, the lower the price. Seconds after pressing “Send,” there’s the fare and flight. No en route transfers needed, although there may be stops to board others. In other words, passengers set the trip’s timing and pricing. And by only serving small airports, ground travel logistics were quick and hassle-free. For the carrier, delivering such a service is as complicated as a Moonshot because the variables are nearly infinite. It must ensure an airplane is available at the locations, times and dates—near or far—chosen by a variety of customers. Same for the pilots. The routing selected must be efficient yet factor in the component of a yet unknown cohort of passengers traveling on the same aircraft from and to other airports. It must be able to accommodate any weather, ATC, staffing or other unanticipated problems or delays—profitably and quickly. To do all that requires serious computational muscle, heavy-duty algorithms and custom-designed programming. 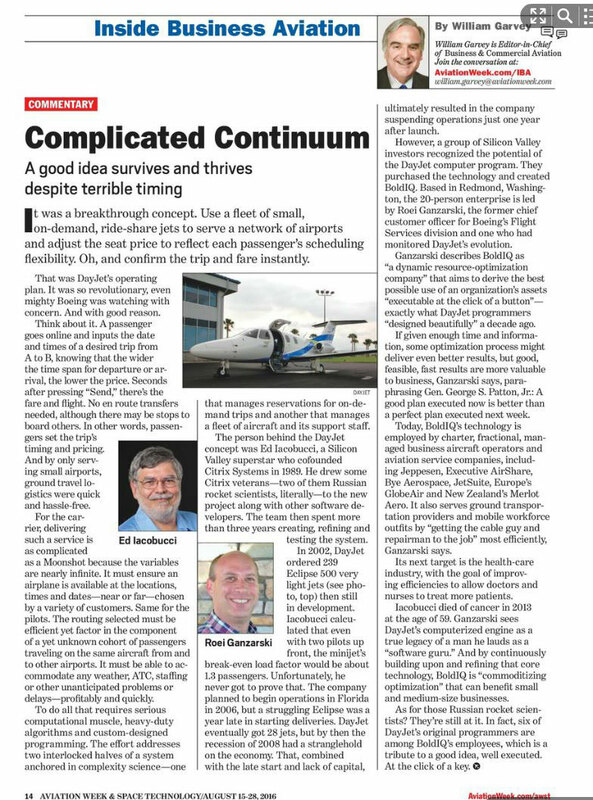 The effort addresses two interlocked halves of a system anchored in complexity science—one that manages reservations for on-demand trips and another that manages a fleet of aircraft and its support staff. The person behind the DayJet concept was Ed Iacobucci, a Silicon Valley superstar who cofounded Citrix Systems in 1989. He drew some Citrix veterans—two of them Russian rocket scientists, literally—to the new project along with other software developers. The team then spent more than three years creating, refining and testing the system. In 2002, DayJet ordered 239 Eclipse 500 very light jets (see photo, top) then still in development. Iacobucci calculated that even with two pilots up front, the minijet’s break-even load factor would be about 1.3 passengers. Unfortunately, he never got to prove that. The company planned to begin operations in Florida in 2006, but a struggling Eclipse was a year late in starting deliveries. DayJet eventually got 28 jets, but by then the recession of 2008 had a stranglehold on the economy. That, combined with the late start and lack of capital, ultimately resulted in the company suspending operations just one year after launch. However, a group of Silicon Valley investors recognized the potential of the DayJet computer program. They purchased the technology and created BoldIQ. Based in Redmond, Washington, the 20-person enterprise is led by Roei Ganzarski, the former chief customer officer for Boeing’s Flight Services division and one who had monitored DayJet’s evolution. Ganzarski describes BoldIQ as “a dynamic resource-optimization company” that aims to derive the best possible use of an organization’s assets “executable at the click of a button”—exactly what DayJet programmers “designed beautifully” a decade ago. If given enough time and information, some optimization process might deliver even better results, but good, feasible, fast results are more valuable to business, Ganzarski says, paraphrasing Gen. George S. Patton, Jr.: A good plan executed now is better than a perfect plan executed next week. Today, BoldIQ’s technology is employed by charter, fractional, managed business aircraft operators and aviation service companies, including Jeppesen, Executive AirShare, Bye Aerospace, JetSuite, Europe’s GlobeAir and New Zealand’s Merlot Aero. It also serves ground transportation providers and mobile workforce outfits by “getting the cable guy and repairman to the job” most efficiently, Ganzarski says. Its next target is the health-care industry, with the goal of improving efficiencies to allow doctors and nurses to treat more patients. Iacobucci died of cancer in 2013 at the age of 59. Ganzarski sees DayJet’s computerized engine as a true legacy of a man he lauds as a “software guru.” And by continuously building upon and refining that core technology, BoldIQ is “commoditizing optimization” that can benefit small and medium-size businesses. As for those Russian rocket scientists? They’re still at it. In fact, six of DayJet’s original programmers are among BoldIQ’s employees, which is a tribute to a good idea, well executed. At the click of a key. It’s happened again. A localized power outage in Atlanta took down the computers of one of the world’s largest airlines — Delta. Last month, a failing router took out the computer system at the nation’s fourth largest carrier — Southwest. And these examples follow a long list of others over the years. The outages leave carriers scrambling, often for days, trying to help passengers find available seats on subsequent flights, even after the carrier’s computer system is back up and running. And when you think about it, an airline is a giant system of moving parts, a precisely timed ballet where pilots and flight crews go from one flight to another. Planes have to end up in the right cities in the correct configuration, all within a tight regulatory framework. When the computer system goes haywire? “You’re basically trying to solve one problem at a time, and that’s where the term continuous firefighting comes in. You solve one fire by creating another one later on,” says Roei Ganzarski, President and CEO of BOLDIQ a company that makes optimization software for day to day operations of airlines, trucking companies and other businesses where everything is in motion simultaneously. Ganzarski says that software can also put things back together after a disruption. “To give our customers a plan that’s better than what they could on their own, at the time they need to make that decision. And that’s what becomes an optimization solution,” says Ganzarski. It all involves the heavy use of mathematics. It’s sort of like a big jigsaw puzzle. Excited to be sharing our vision and enabling technology for the on-demand city.